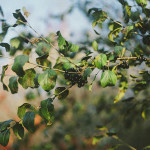 We’re a blog about more than just wilderness survival – but that doesn’t mean we don’t cover wilderness survival and bushcraft techniques at all. 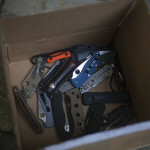 There are a good number of articles we’ve published on this blog that have to do specifically with wilderness survival, though they do end up buried amongst the prepping and gear articles quite easily. 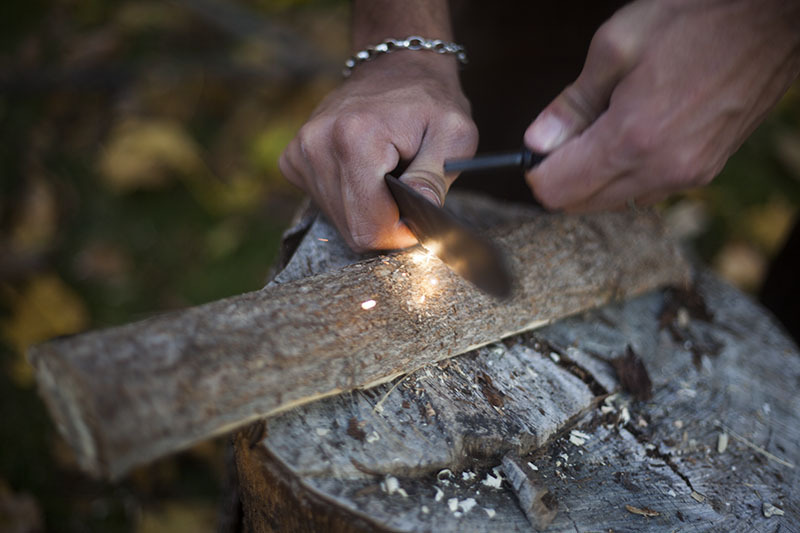 If you’re interested in taking a look at all the wilderness survival and bushcraft related articles we have on this site, take a moment to scroll through and open up the articles you’re interested in reading. And of course, if you have any topic requests for us, do take a moment to leave a comment below letting us know what you’d like us to cover. You can also contact us directly – either way, we love getting ideas from you guys in terms of the content we should push out next. Sometimes, with all there is to discuss, we don’t know what’s most beneficial for you guys to read, which is why we love answering reader questions so much. Before you click through, be ready for a massive list that will take you some time to go through and properly assess. 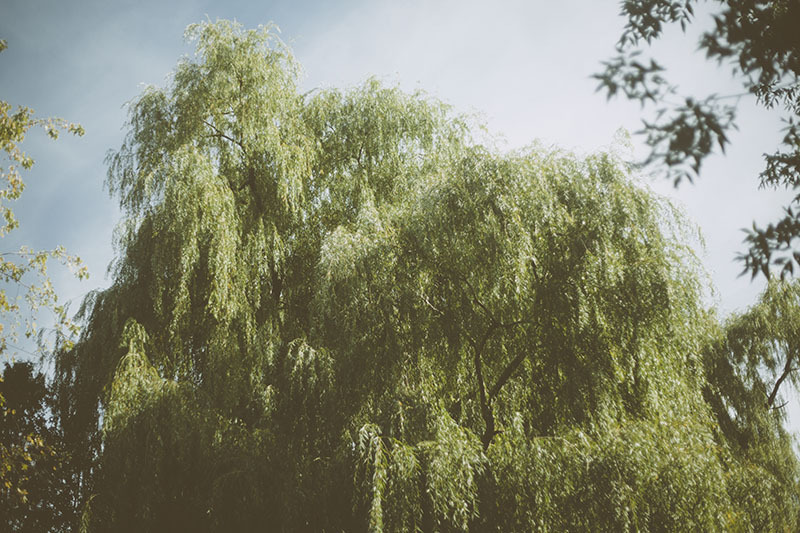 If you’re looking for a streamlined, minimalist approach to survival and only want advice in that respect, this article isn’t for you. 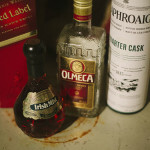 There are many things on this list you likely will not want or care to invest in – but this article is there in case you’ve already got a stockpile up and pretty near completed and just want to make sure there isn’t anything out there that you’d forgotten to add to your stockpile or survival kit. 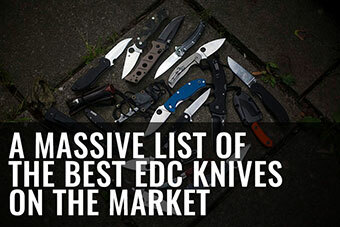 If you’re in that boat, check this mega-list out. 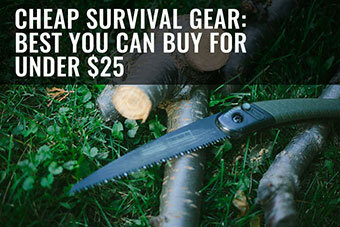 In case you’re looking for survival gear products at a low price point to buff up your wilderness survival kits, this is a good place to start. 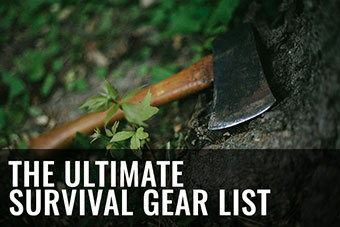 A massive topic post like this one only concentrating specifically on survival gear. 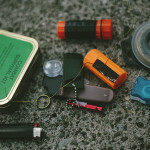 No point repeating the entire contents of that article in this one, so if you’re interested in survival gear, check out this post for the detailed rundown of all our articles on the topic. 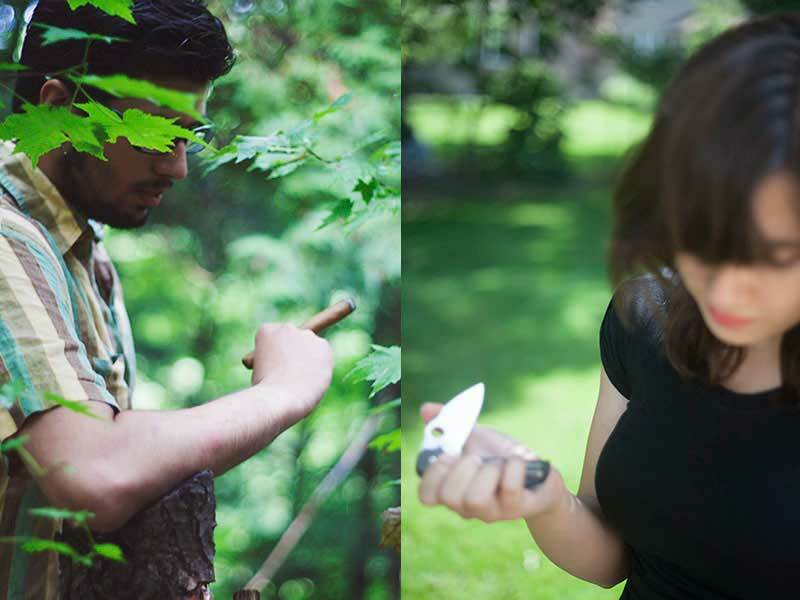 Wilderness survival skills you can learn while sitting on your sofa? If you thought this was in no way possible, think again! There’s plenty you can teach yourself from the comfort of your own home – even things that are 100% outdoor and bushcraft related. What is batoning? Why would you bother to learn how to baton? 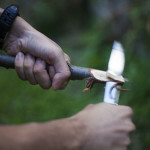 Is batoning through wood going to damage your knife? 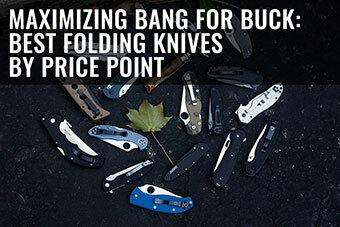 Which knives are ideal for batoning with? All this and more can be found in this article. Starting a fire is, in general, not the easiest thing to do. Starting a fire after it’s rained is considerably more difficult than in ideal circumstances. Still completely possible, however, and quite honestly not as hard as you might imagine. 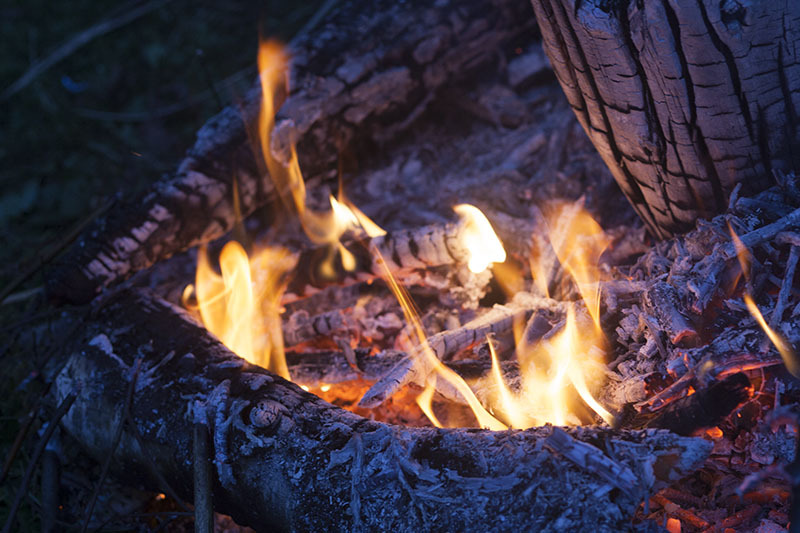 Take a quick read over this post to learn how to start a fire after it’s rained and everything around you is wet. 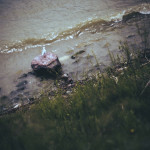 There are more than a couple reasons to find bodies of water in survival situations. It’s not just about hydration, which is obviously the first thing that would come to mind. 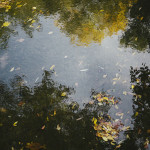 Learn all the ways that finding a body of water in a survival situation can help you out by reading this article. If you’re ever lost in the wilderness, it’s extremely important to know how to find water. Luckily, using these 3 simple methods, you’re going to really increase your odds of doing just that. Simple, easy, and to the point, these 3 tips could really help you out in a tough spot. 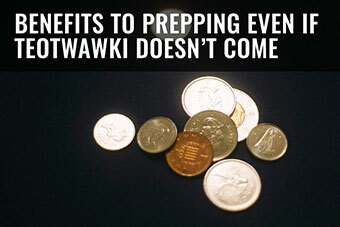 Water purification is potentially one of the most difficult things to do in a SHTF/TEOTWAWKI situation. How exactly do you purify contaminated water? Is there a way around it? Should you be purifying water for bathing in or just drinking? And is there an easy way to do it? 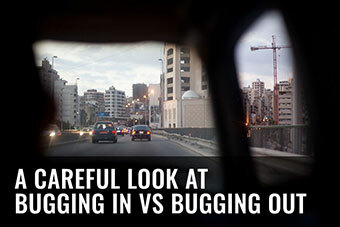 Find out by reading this article. I’m sure you’ve heard it before, but in case you need a refresher, here’s why you should stay away from ocean or sea water when you’re in a survival situation and are incredibly thirsty. Yes, you might think it will help you – but no it most certainly will not. 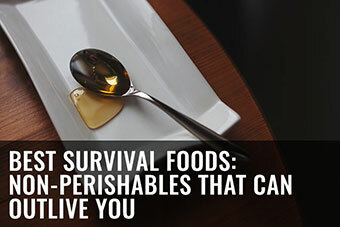 Some seem to think that drinking small amounts of seawater is okay in survival situations. I take a moment to debunk that theory as best I can. There’s no scientific evidence that suggests drinking seawater in small amounts can help you stay hydrated when you’re dehydrated. Take a look at my article to find out why some people still believe this myth. Can I Cook Outside Without Attracting People & Animals? It’s probably impossible to not attract any people or animals when your’e cooking outside, but there are ways to minimize the smells of food, as well as great safety precautions you can take even though you’re likely going to attract something to you while you cook outdoors. Take a look at this article for our tips. It doesn’t take a brain scientist to figure out how to stay warm outdoors – common sense is quite enough to keep you warm. But if you’d like a refresher on all the obvious things you can do to make sure you’re not going to get into trouble with regards to hypothermia while you’re out and about in the wilderness, take a read through this article. And of course if you can think of more advice, do let me know in the comments section of the post! Need a refresher on why it’s important to keep your core temperature not too hot and not too cold? Take a read through this article on thermoregulation, and why it’s important to survival. Hypothermia is no joke when you’re outside and have no easy way to warm yourself back up in the comfort of a dry, cozy home. Learn more about hypothermia, how you can prevent it from happening, and what to do if you actually do end up hypothermic outdoors from this article. Being lost and not knowing where on earth you are is a terrible situation to be in, and while we can all hope you’d never end up in a tough position like that, who knows what might happen in the future. Believe it or not, there are ways to find civilization even when you have no idea where you are – and they’re not too hard to remember. Check this article out to quickly learn how. Have you heard of Imodium before? Do you know what it does, what it’s useful for, and how it can really help you out in survival and emergency situation applications? 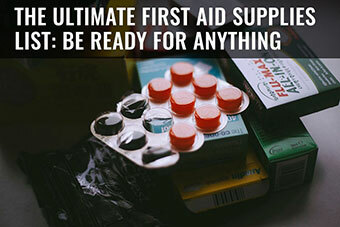 One of our most popular first aid articles on this site for good reason – Imodium is rarely talked about because it’s misunderstood or not known about at all, even though it’s actually one of the most valuable medicines you can have in your medical stockpile. 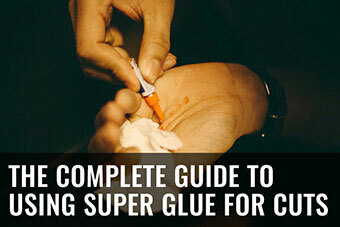 It’s important to know as much about first aid as you possibly can so that in case help just can’t get to you and you have a medical emergency while outdoors, you’ll be able to survive it. 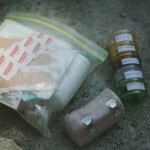 I’m not going to take the time to list every single first aid post we’ve written in this article, but if you’d like to browse through, take a look at this first aid topic post to learn more about first aid. There’s quite a lot to be confused about when it comes to paracord, so Thomas took the time to put together a massive article about everything he could possibly think anyone would want to know about paracord. As far as complete guides go – I daresay this is the best on the internet when it comes to explaining paracord. In it, Thomas covers what paracord is, what makes it such a great survival tool, what kinds of things you can use it for, what types of paracord exist, which you should be buying, how to test the quality of the paracord you have, and how to store paracord as well as when it expires. If you can think of anything else that belongs in that article, by all means let us know, but I think it gives a very good overview for those who really don’t know much about this well-loved tool of the industry. In case you had a little trouble imaging what you could do with paracord besides using it to put together a shelter, I took the time to write up an enormous list of many of the ways you can use paracord, both in the wilderness and around the house. 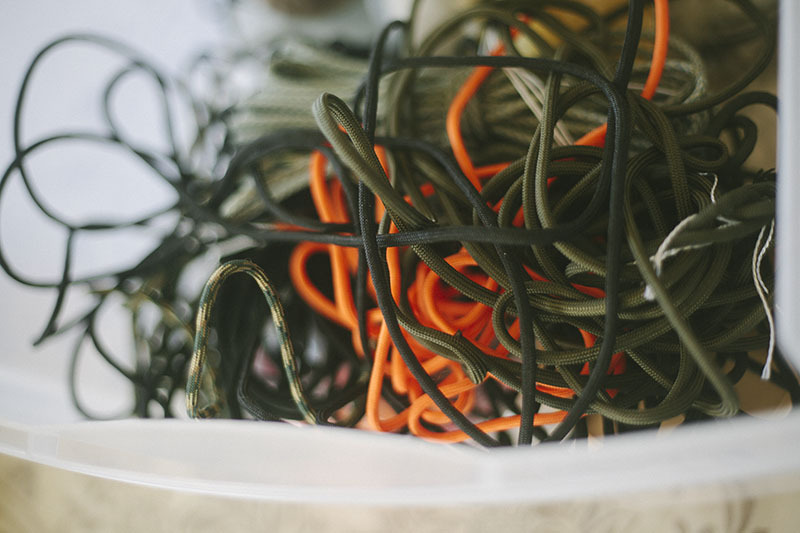 If you can think of any more paracord uses, please let me know in the comments section of this article – I’m no stranger to the edit button, and helping people imagine the types of things they could do with paracord could really help if they’re in a tight spot. Recalling a good idea read online is a lot easier to do than imagining new solutions when a problem presents itself. 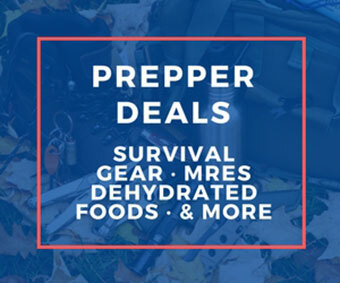 The vast majority of the books on this list are wilderness survival/bushcraft oriented, and that’s because even if you’re into SHTF/doomsday preparedness aspects of prepping, wilderness survival is incredibly important to learn about and practice. If you’re going to survive and thrive in the long run, the best way to assure that is to work on your wilderness survival skills. 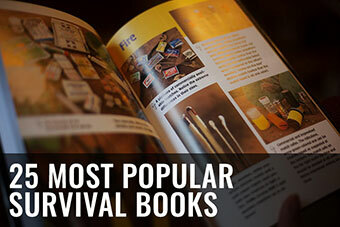 Check out this article to learn what some of the most popular survival books are. It’s not easy to learn wilderness survival techniques, but if you’re in it for the long haul, here’s an article explaining what you should be doing to become better over time. It’s not just about the obvious bushcraft techniques, and we all know this. If you’re trying to be the best you can be at even just wilderness survival, there are a heck of a lot of neighbouring ideas and skills that you’d be better off teaching yourself about, as knowledge and experience with them spills over into your survival skills. Take a look at what these are. An ethical dilemma for some, and interesting insofar as we’ve had quite a number of vegans/vegetarians write in the comments about how they feel about this situation. If you’re into thought experiments on survival, check out this article, but also read through the comments section. There’s no time like the present for resolutions – doesn’t have to be new years to start working on your goals. 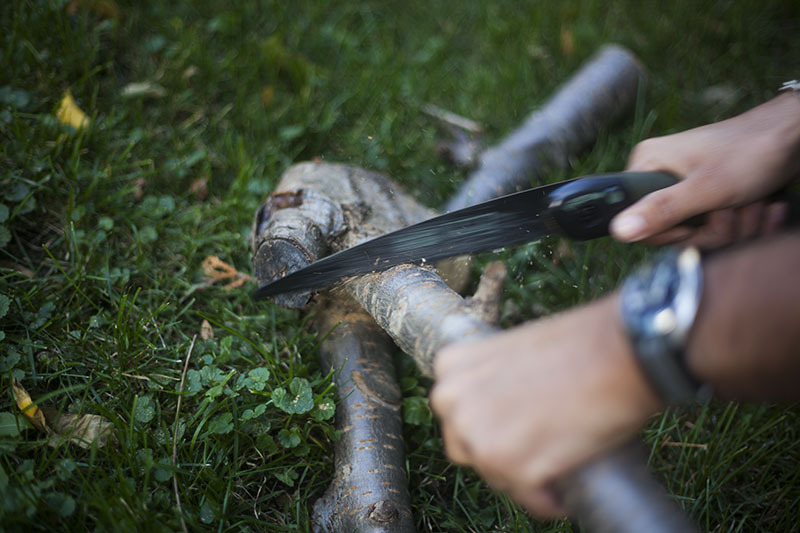 Here are 6 things you can do to buff up your wilderness survival skills in the upcoming months. Some clothes are much better than others for being stuck in when you’re in a survival situation. Not saying you get to choose when survival situations happen (if you did, you’d likely choose never), but if you’re going to be stuck in something, let’s hope it’s not these items of clothing. If there’s a wilderness survival related topic you’d like discussed on this blog, please don’t hesitate to let us know, either by contacting us or by leaving a comment down below. We love answering reader questions, so don’t hesitate to share yours! To take a look through other topics you might be interested in, click here. Preparation is 99% of victory. Thanks for the support mate, I appreciate it.